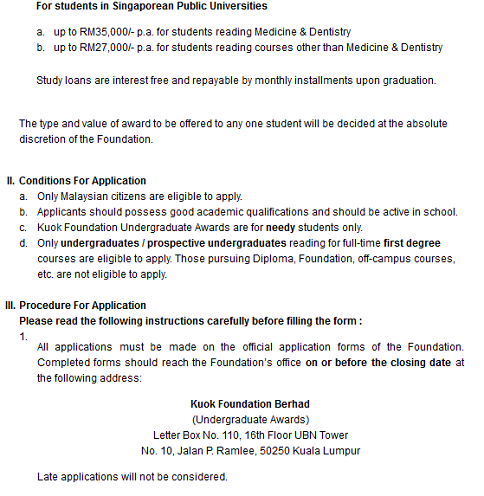 Kuok Foundation Berhad Scholarship invites applications from Malaysian citizens applying for or currently pursuing full time undergraduate studies for the following scholarships. Interested and qualified student may download the Kuok Foundation Scholarship at Kuok Foundation Scholarship Application Form Online. Kouk Foundation is a non-profit charitable institution incorporated on 1 June 1970 under the Malaysian Companies Act 1965 as a company limited by guarantee and not having a share capital. The alleviation of poverty and suffering, the fostering of self-reliance and empowerment of the disadvantaged and underprivileged through education and training and the promotion of the spirit of caring and sharing. Kuok Foudation Berhad has opened applications for students at Malaysian Public Polytechnics to apply for the their Diploma Awards 2018 programme. This opportunity is also open to students from Malaysia Public Polytechnics, for those still without financial support. Students from Malaysia Public Polytechnics are encouraged to apply. a. 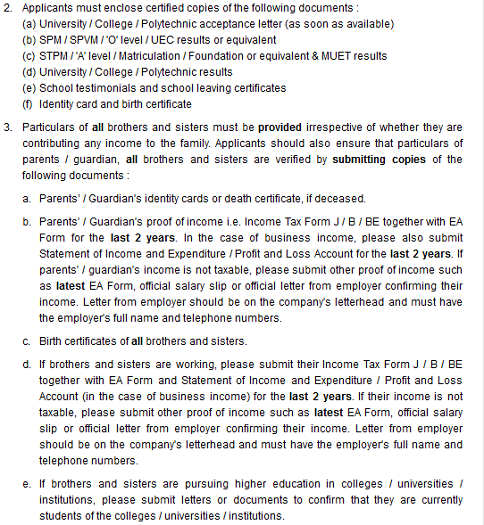 Students studying diploma, off-campus, matriculation and foundation courses are not eligible to apply for the above. 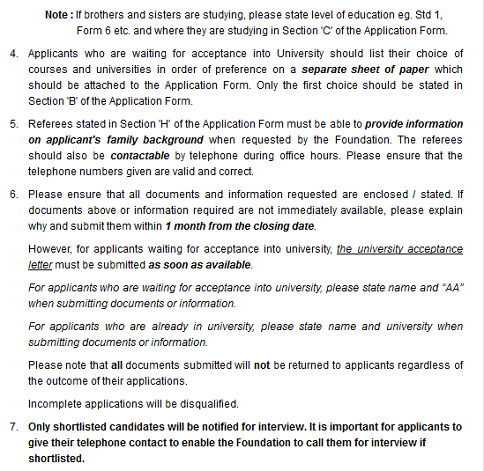 If you are shortlisted for an interview for this scholarship, you will need to be fully prepared. Here are some question that may be asked during the interview. Thanks to Heart Tales Blog for his tips for this interview. The following are some question you will have to get yourself prepared. 1. You are taking Medicine. How is your studies so far? 2. Why did you say that your university is suitable to study Medicine? 3. Why did you choose Medicine? 4. What is your future plan upon your medical degree? 5. What speciality do you wish to pursue? Why? 6. What quality that you think a good doctor should have? 7. 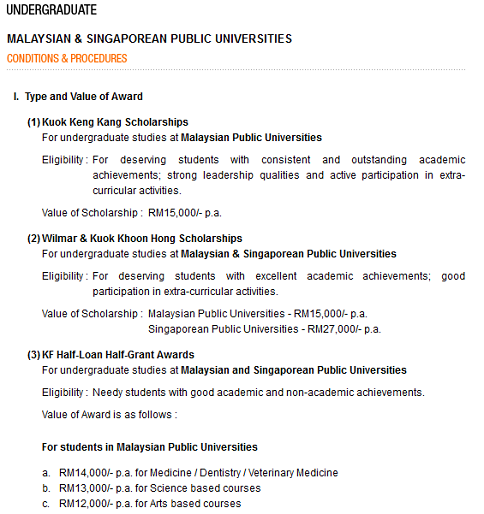 If you were to be given the Kuok Keng Kang Scholarship (Scholarship deserving for students with extraordinary academic and extra-curricular activities performances), what quality in you that you think you deserve the scholarship? 8. What do think of euthanasia? Is it legal in Malaysia? 10. Did you pay for your foundation studies? 11. How long did you have after the completion of your foundation studies before entering degree? 12. Do you have any working experience? 2. What are their salaries? 3. What is the family expenses? 4. (If your parents are not working) Who support your family expenses? 5. How much do your parents give you per month? 6. Is you mother working? 7. Are you currently under any scholarship? 8. Do JPA offer you? 9. Do you have any savings? 10. What is the amount of your savings? 11. (If your siblings are working) Explain about your siblings’ occupations. 12. Level of your siblings’ studies. Where? Any financial aid / scholarship? 13. If you were to be given only the KF Half-Loan Half-Grant Scholarship, are you happy with that? Looking for Kuok Foundation contact info to contact them directly? Here is details. For more details and up-to-date info about Kuok Foundation scholarship please contact the scholarship provider directly or visit their official website.